You can have different menu items (depends on your role). 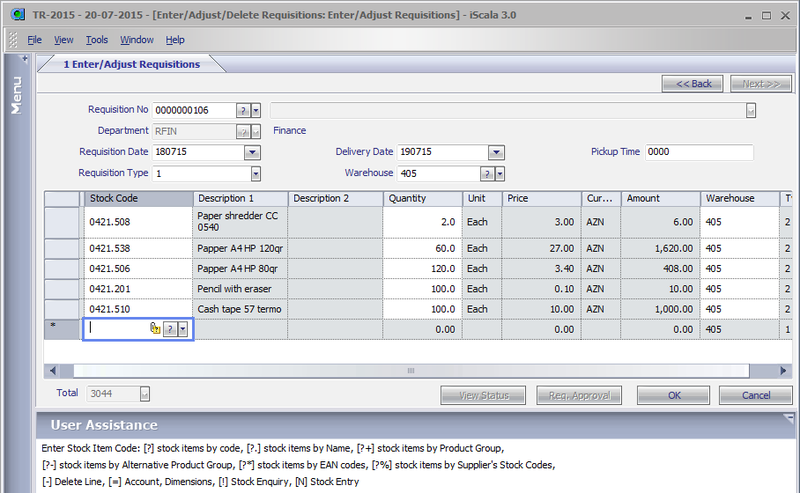 In one case you will see «Requisition Management» menu, in other case – submenu «Requisitions» from parent menu «Purchase Order». 7. Print additional «external» reports located in Reporting Server of iScala. Requisition No: If you enter new Requisition, just press «Enter». 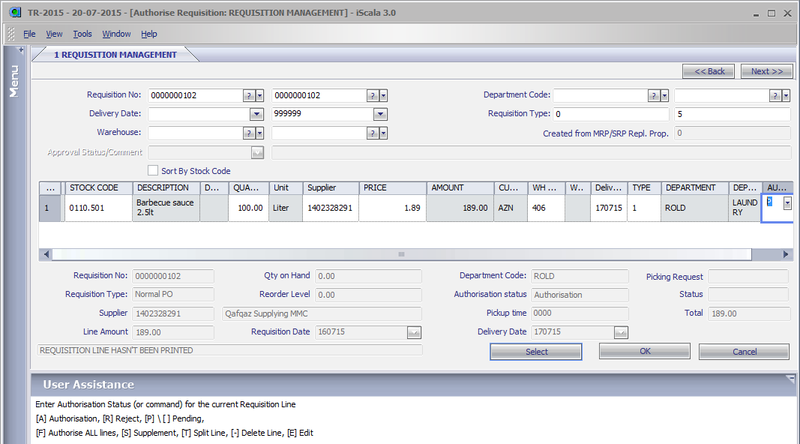 iScala will automatically set new Requisition Number. Department: Press «F4» button and select your department from the list. 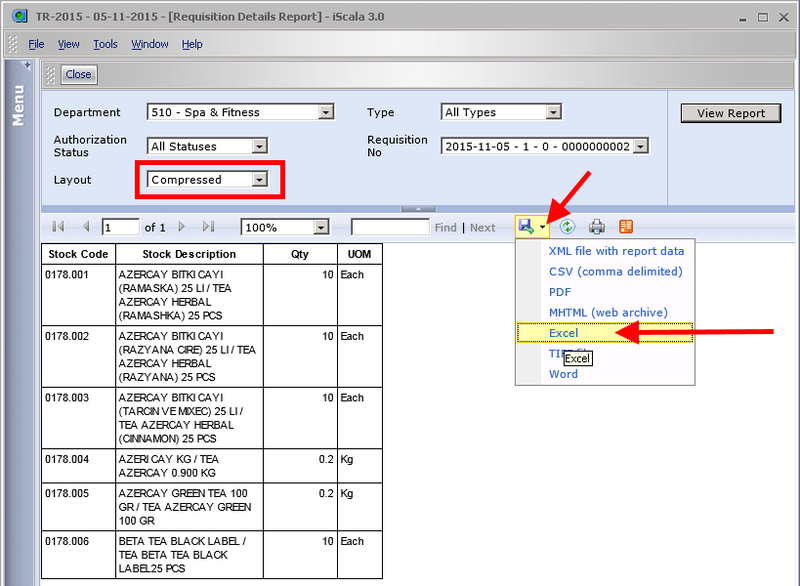 Requisition Date: Requisition creation date. Don’t adjust. Delivery Date: Expected Delivery Date. Pickup Time: Delivery time. Not used, don’t adjust. Requisition Type: (important!) 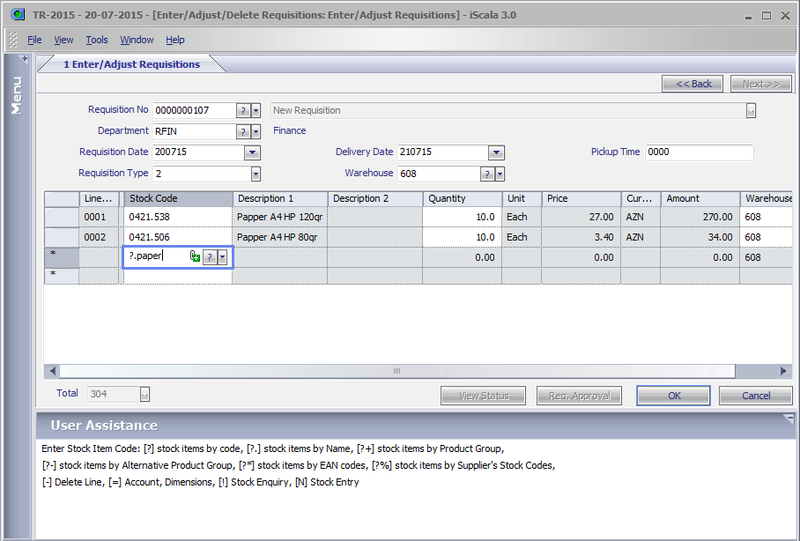 – 1 (Purchase Requisition (will be converted into Purchase Order)). Warehouse: press «F4» button and select warehouse from the list, where you are going to receive purchased items. «StockBalanceAllWHs» field in this window shows quantity for all existing warehouses. Select needed item in the list and press «Enter» or click on «OK» button. Press «Enter» or click on «OK» button and you will return to Enter Requisition lines screen. 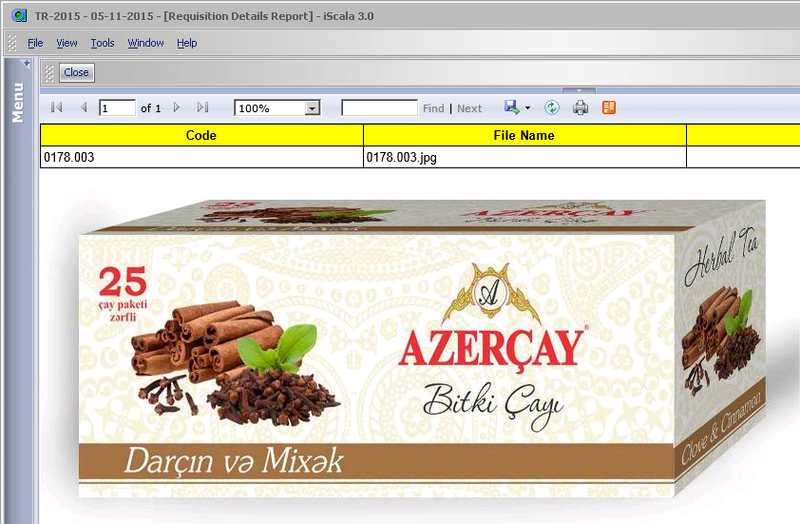 When first requisition line entry is complete repeat entry of second line from the field «Stock Code» and etc. Remember entered Requisition Number and press «Yes». 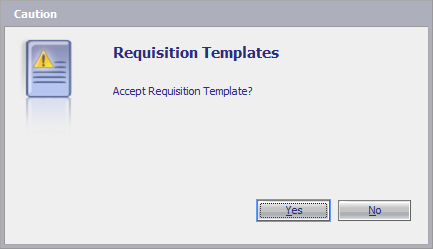 Screen form will be cleared and cursor returns back to the «Requisition No» field. If you need to enter another Requisition then Enter it otherwise, press «Esc» button to return to the menu. Please always do it if you are not going to continue to enter Requisitions. Requisition Type: (important!) – 2 (Material Requisition (will be converted into Stock Transfer)). Warehouse: press «F4» button and select warehouse from the list, where FROM you are going to receive transferred items. Please Pay attention: issue and receiving warehouses should be different! Stock Code: there are different choices to get needed items in this list: «F4» — full stock items list in Stock Items code order, «?03» — stock items list in Stock Items code order, started from 03 (tobacco), «?.paper» — stock items list in Stock Items description order, started from «paper». 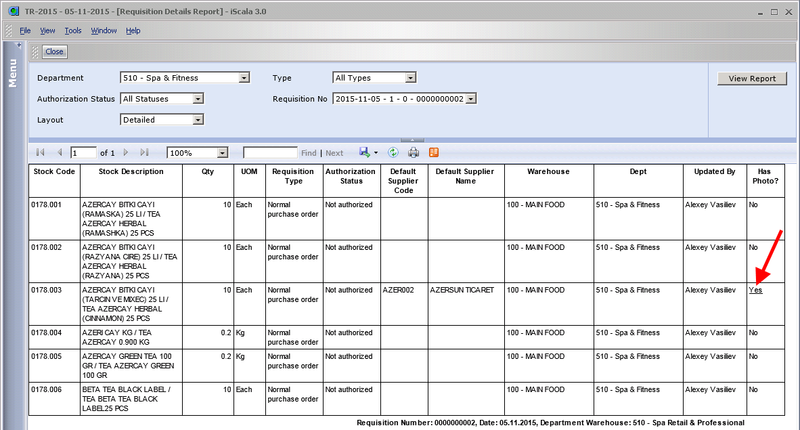 Note: Please select Stock Items in accordance to Warehouse, for example chose beverages if you selected warehouse «200 — Beverage Main», as there is no food or engineering items in this warehouse. 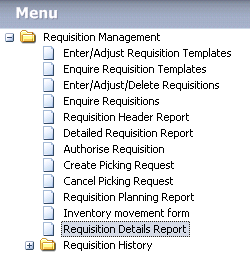 Requisition Type: (important!) – 5 (Material Requisition (will be converted into Stock Issue)). Warehouse: press «F4» button and select warehouse from the list, where FROM you are going to receive issued items. Enter Requisition of type 0. Please use this type of Requisition only when you need to purchase something missing in Stock Items list and this item have never been purchased before! Requisition Type: (important!) – 0 (Undefined). Requisition No: Enter Requisition Number manually or select from the list («F4»). Don’t fill any other filed, just press «Select» button. 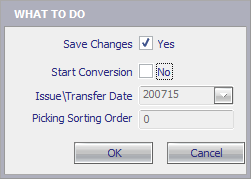 Screen form will be cleared and cursor returns back to the «Requisition No» field. If you need to authorize another Requisition then do it otherwise, press «Esc» button to return to the menu. Please always do it if you are not going to continue to Authorize Requisitions. If you get error message then go back, correct the error, and then repeat the process. You can see in the picture on the left error message due to the fact that the expected delivery date has already passed. You need to change the delivery date, setting it at least today’s date. 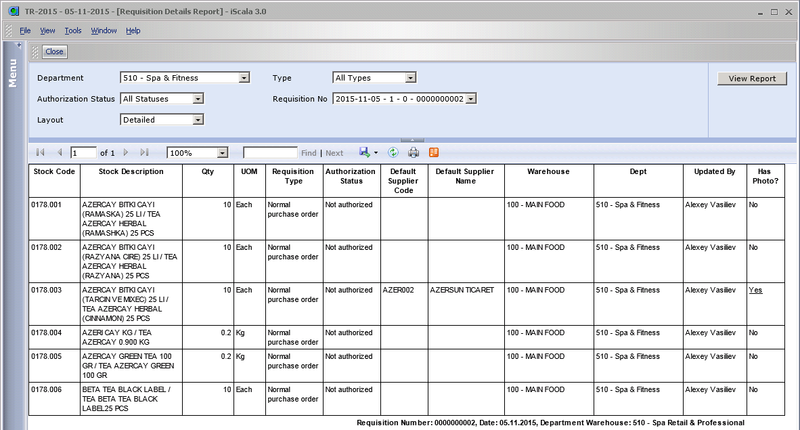 Depending on the type of Requisition you will get the message about creating Purchase Order or you will be prompted to print the internal delivery note movement between warehouses. Press «ОК». 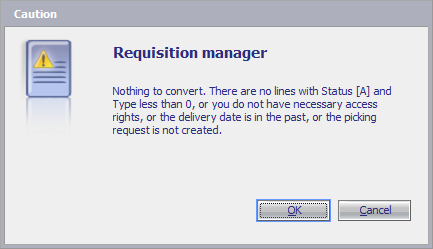 Screen form will be cleared and cursor returns back to the «Requisition No» field. If you need to convert another Requisition then do it otherwise, press «Esc» button to return to the menu. 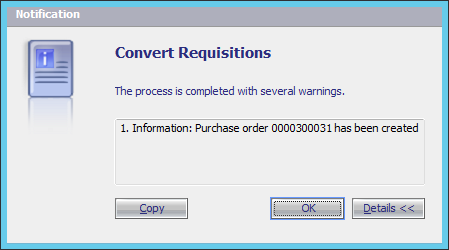 Please always do it if you are not going to continue to convert Requisitions. Save or Open exported file. It should be printed before Stock Movement/Issue from warehouse. Please fill Template Name so that you can easily select it in a large list of templates (Field «Name» to the right of the Template number, in the picture above the template name is «Banketing 2015»). 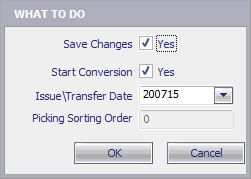 Press «Yes» if you would like to enter quantities in Requisition lines manually. Press «No» if you would like to fill quantities from template. To get new Requisition Number just press «Enter». 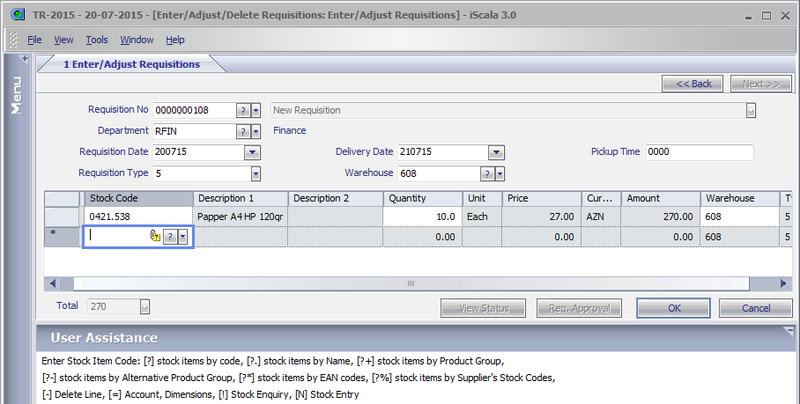 iScala will automatically set new Requisition Number. Then fill in «Requisition Date», «Delivery Date», «Pickup Time» fields. Adjust Quantities if necessary. 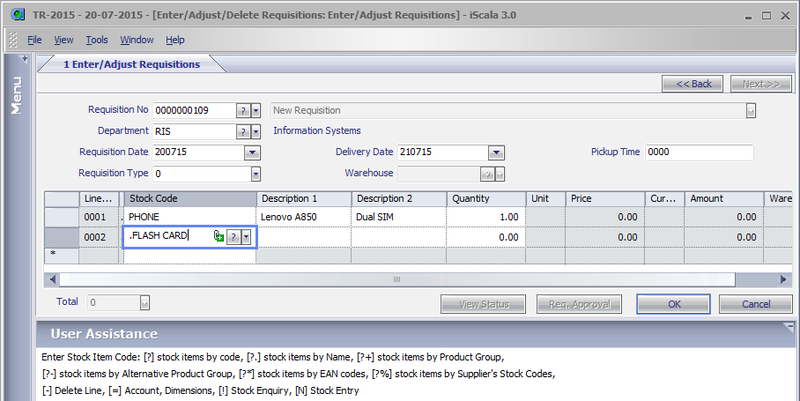 Use standard way to save Requisition (described at the top of this quick user guide).